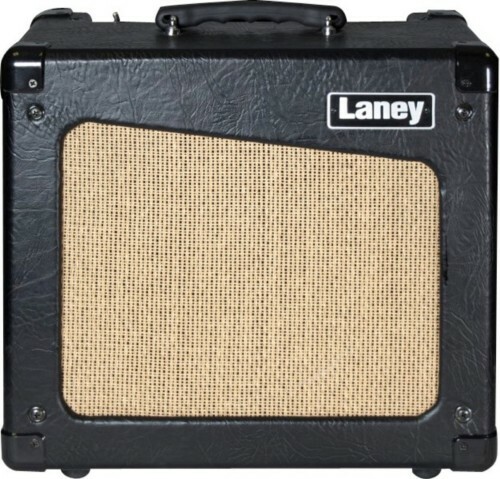 The Laney Cub 10 Classic General Electric full revalve kit is designed to give you an instant upgrade over the standard Chinese valves by improving a number of important characteristics. This is done by using modern day production ECC83 Harma Retro valve which is traditionally voiced to sound as close to the original Mullard ECC83 in the pre amp section. In the output stage we use an original American made military specification General Electric 6V6GT Jan . This combination removes the High end fizz and the rather dull distortion characteristic which is the most common complaint levelled at this amplifier and brings the amplifiers sound back to life. You will get improvements in such as a crystal clear top end with more extension and clarity when used clean. When using the overdriven settings the valves combined characteristics provide a warm sustaining sound with plenty of upper harmonics with excellent projection on solos. This combination gives you the classic warmth and extra clarity that is available by using carefully selected valves. The Kit consists of 4 valves.